Y’all, I have a confession to make. I’ve been in a major funk this week. 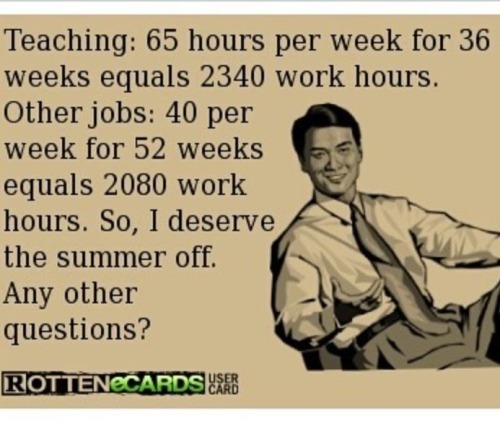 The combination of saying adios to summer and holla new school year has done a number on me. Yeah, the struggle has been real for this here girl. One thing I know about myself is that I do not do change well. No sir. I am that kid who wants to throw a tantrum in the middle of the floor. On Tuesday, we began two days of meetings, and it was all I could do to hang on for dear life. Now, let me tell you that I work with some fabulous educators. They really are. We have our quirks, and we fuss like family, but we do an incredible job with children who are facing so much adversity. My not wanting to kiss summer goodbye doesn’t have anything to do with people. The beginning of the year is freakishly overwhelming. Like totally. Hearing about new mandates being passed down from on high doesn’t always sit well either. I try hard to be peppy, positive, and a team player, but I couldn’t find my mojo on Tuesday. I wasn’t feeling well, the result of random headaches, although they aren’t constant like before. It takes me awhile to process information, especially when I’m overwhelmed and a bit emotional (the two tend to go hand-in-hand for me). It didn’t help when a teacher I have always gotten along with acted snarky toward me. Grrr. 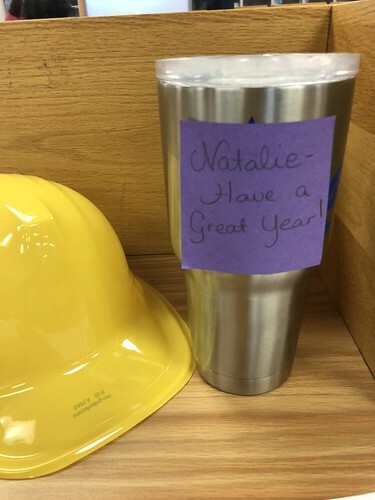 I later found a sticky note on my cup, and she apologized. 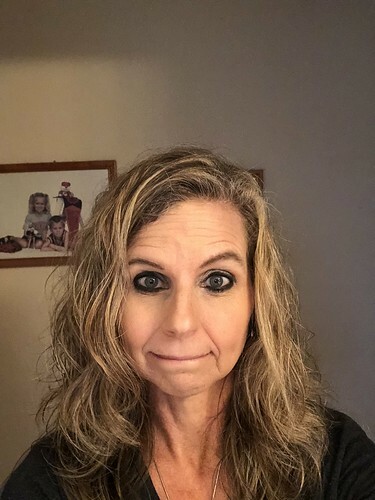 I love this lady; she taught both of my kiddos in middle school. All ended well. Sometimes, I forget that I don’t live on an island; we are all struggling, especially this time of the year. I did manage to win a free Starbucks card when I got Bingo. I must start being more discriminatory when I post pictures online. I am not going to lie: my less-than-stellar attitude, stubbornness, and sensitive nature did not make for a happy afternoon when I got home. What do you do when you’re stressed? I did a bit of late-night baking. 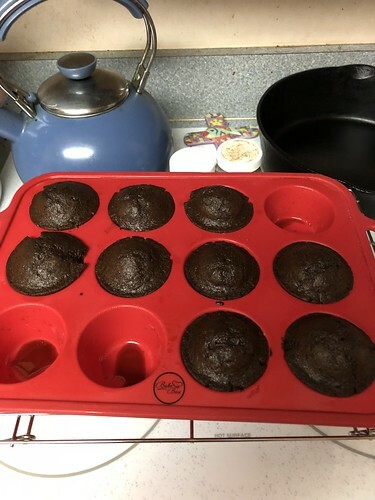 I like to fool myself into thinking I’m cutting calories in half by making mini cupcakes. I found the recipe here and even managed to whip up the icing – at 10pm. I should have waited longer to ice them. 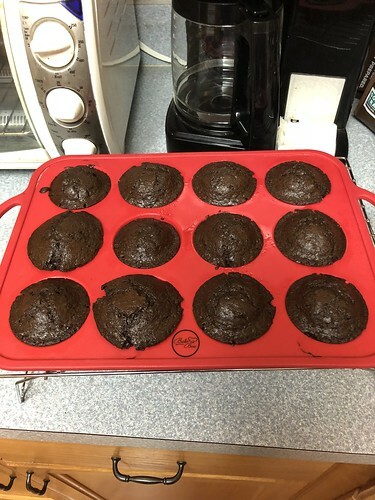 They were a bit melted. I took these into work on Wednesday so my taste tester friend, Leanne, could critique them. She liked the mint icing. Another friend, Penny (hey Penny, welcome to the blog), didn’t care for it too much, but she loved the cupcake itself. 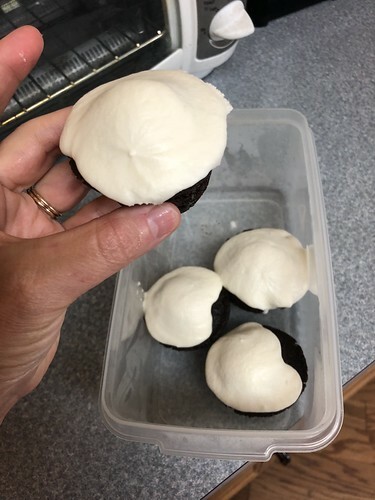 The frosting wasn’t my thing either, so I’ll figure out a different flavor next time. Wednesday’s meetings seemed to go by a little quicker, although I pretty much stayed in my shell again. I felt so weighted down. I worked in my classroom during lunch and got some books boxed up for my friend, Barbara. She had loaned me a number of them eight years ago when I started teaching reading, and I had finally gone through them on Monday and pulled the ones I knew my students had not been reading the last few years. This made room for the oodles of new books I’ve purchased recently. Being productive helped me feel a tad better. My classroom is my safe haven at school, and watching it come together was very satisfying. We had one last round of meetings during our afternoon session before we got to leave. I was still in my funk and checked in with a friend to see how she was doing. Hearing her perspective on her day and her reflections on the week gave me pause. This was the conversation I needed to remind me that I needed to snap out of it. I realized that I was probably setting a poor example and giving new teachers on our team a bad first impression of me. So, I’m swimming my way to the top of whatever huge wave I’ve been crushed under lately. I’m trying to pray, although if I can be honest with you, I’ll admit that I wasn’t in a good place emotionally to pray Tuesday afternoon. By Tuesday night, I was ready to talk to God and re-read my devotion. I slept well that night despite the angst in my heart – proof that there is One who is able to pull me out of whatever hole I can’t find my way out of. Please pray for all of the educators and others who work in the system. Please pray for energy as we prepare for the littles of all grade levels. We are already worn out, and the school year hasn’t even begun for many of us yet! Please pray that those in leadership will make wise decisions – decisions based on what is best for kids – and that such people will see these students for who they are . . . young people with names and personal stories . . . not data points. 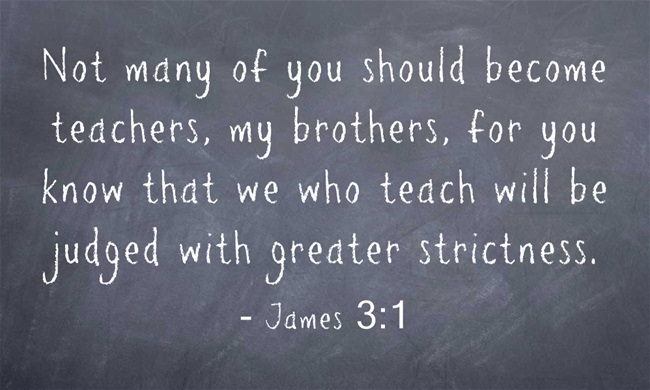 Praying for you in your new school year, for wisdom and encouragement. 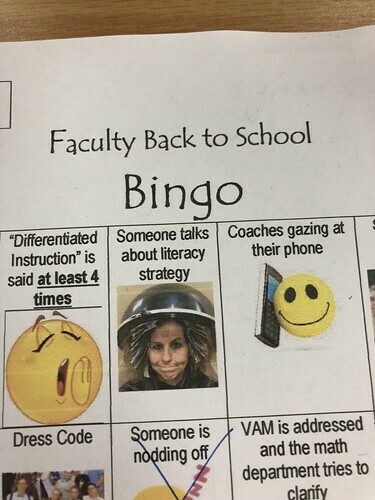 HAHA – I love they pulled your pic off for the bingo! & WINNER WINNER! That’s a fun surprise!!!! You’ll ease back into your old routine soon enough. Hang in there friend! Going back after break is never easy especially if changes are happening. Keep positive.